Hello everyone! Today I have August's MeeBox to share with you. 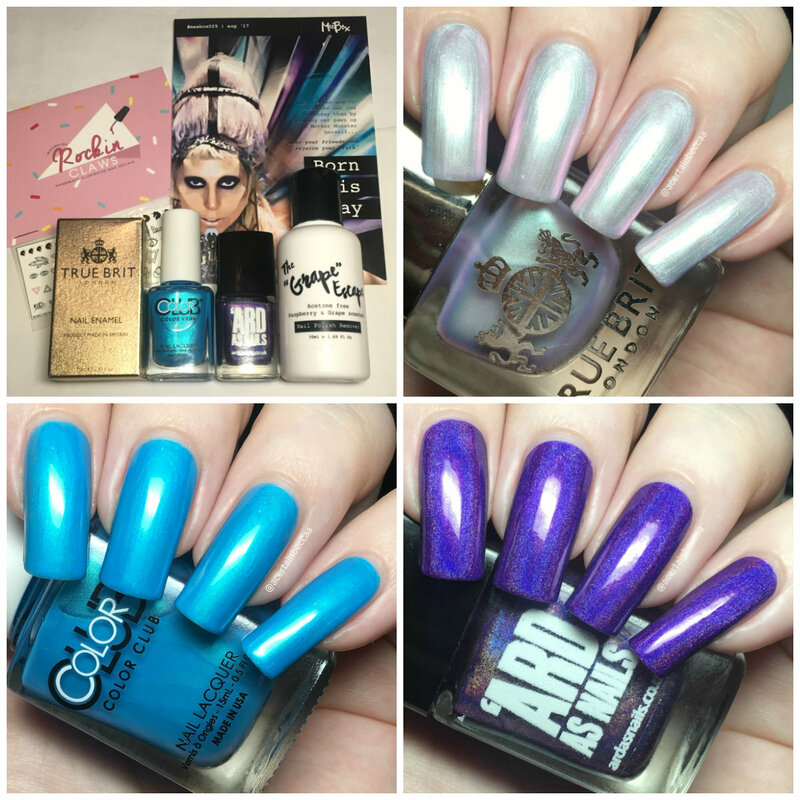 If you missed July's 'Birds of Paradise' box, you can see my unboxing, swatches, and nail art here. This month is a bit of a special one, and it celebrates MeeBox's second birthday! The theme for the occasion is 'Born This Way', based around Lady GaGa. Read on for my swatches and a closer look at everything inside! 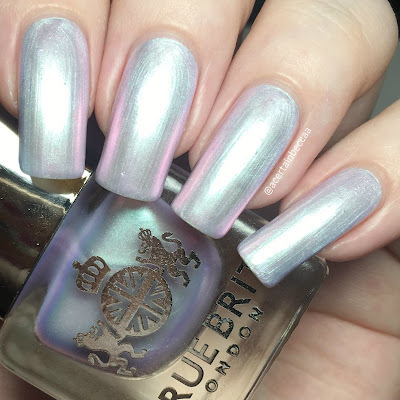 The first polish this month is from True Brit London, who I love! 'Etiquette' is a soft iridescent shade with a pink and purple shift. Being so delicate it does start off sheer, but has a lovely smooth formula and builds up nicely. True Brit polishes are infused with elderflower (among other extracts) which smells gorgeous! Below is three coats with topcoat. 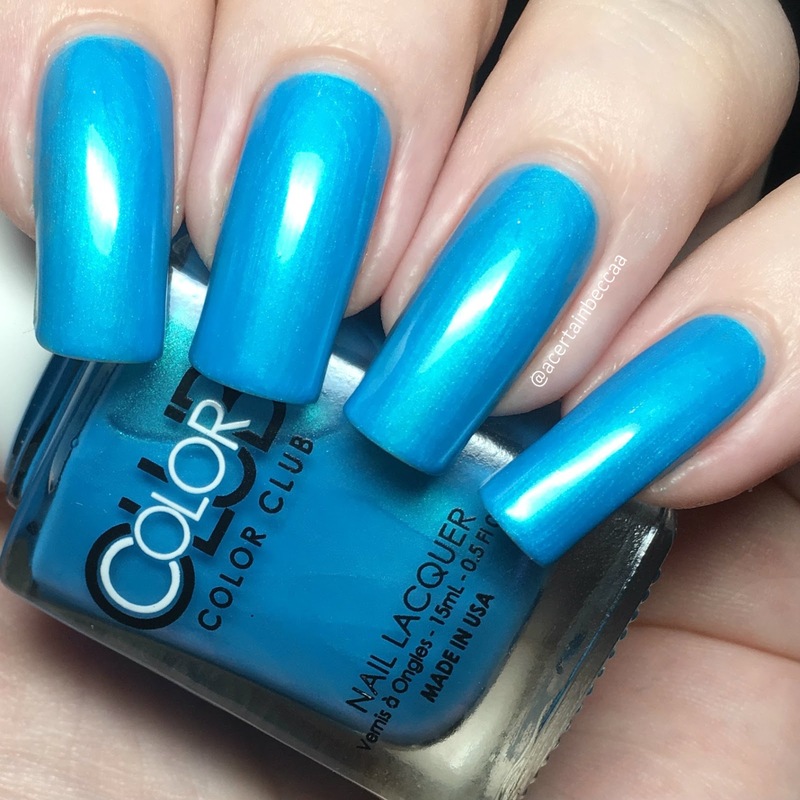 Next up is Color Club 'Pure Energy', a bright blue with a turquoise shimmer. The formula is smooth and easy to apply. Again this starts off quite sheer, but builds up well in three coats. I think you could probably get away with two thicker coats. This literally glows off the nail. Below is three coats with topcoat. Our last polish for August is 'Ard As Nails (yay for another UK brand!) 'I Love You Hunny Bunny', a deep holographic purple. 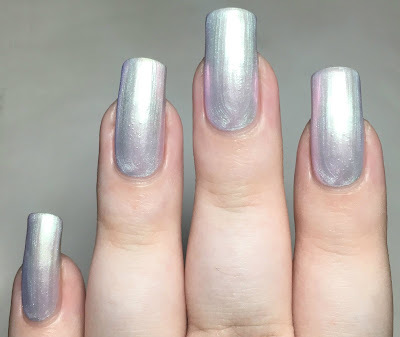 This has a great formula and is completely opaque in one effortless coat. I had intended to apply a second, but it honestly made no difference. Below is one coat with topcoat. Our first extra is acetone-free nail polish remover 'The Grape Escape', from MeeBox themselves. We actually recieved a bottle of this in MeeBox's first birthday box a year ago (posted here). It removes polish nicely, and is quite strongly scented of raspberry and grape. I quite like the smell but I remember some others didn't. 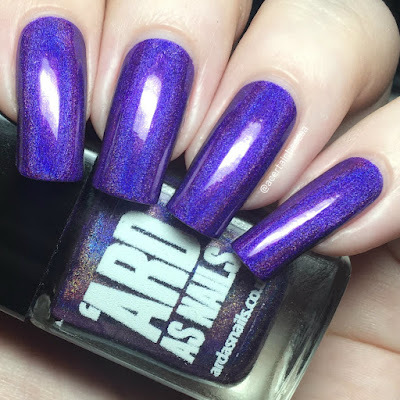 Lastly, we recieved a sheet of 'Born This Way' water decals from Rockin' Claws (House of Wonderland). These were a collaboration design with MeeBox for the theme, which they have done before at least once. What do you think? 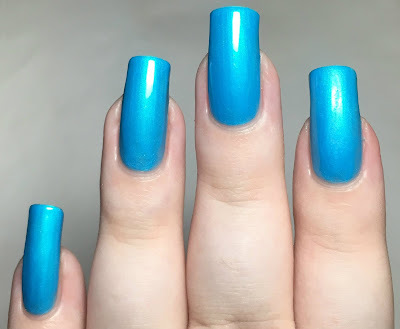 I really like all three polishes this month - they're gorgeous! The True Brit London pleasantly surprised me, as I was worried it wouldn't suit my skin tone. MeeBox also seem to be featuring a lot more UK brands recently which I've really been enjoying. I'm not completely sure I really see the theme this time around (excluding the decals), but that might just be me! 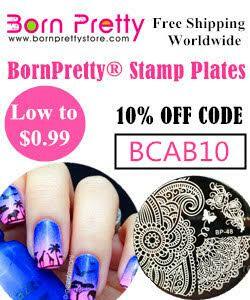 Oh wow these look gorgeous and I love the theme! I might have to try this box now.. I'd have been smitten to get these!